It was Valentine’s Day and the love and happiness was floating around. I received some sweets from my sweets that morning and had watched people moving about with their flowers and stuffed animals. Everyone just a little bit happier, or better yet, giddy. Valentines were being exchanged throughout the day and everyone was spending a little more time with that special someone. I started my Valentine’s prepping early this year, ( I know, it still shocks me even now.) buying my kids goodies to make (hang on to your seat) HOMEMADE Valentines for their school chums! Thank you ‘crack’terest.com. 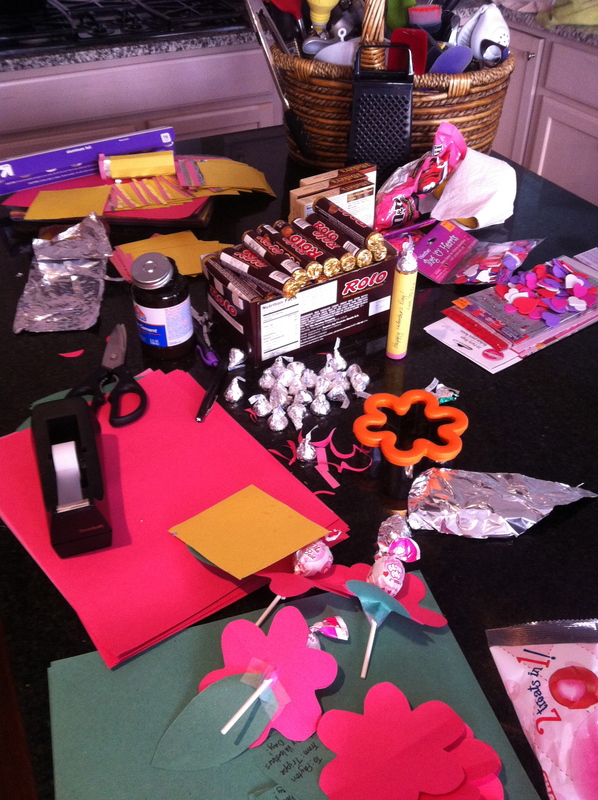 It was a project that took a few hours , but they all got done and sent on their merry little way Valentine’s morning. Well, actually, this is NOT what I saw first, but once I was able to grab my phone (how weird does that sound) and get a quick shot without intruding. 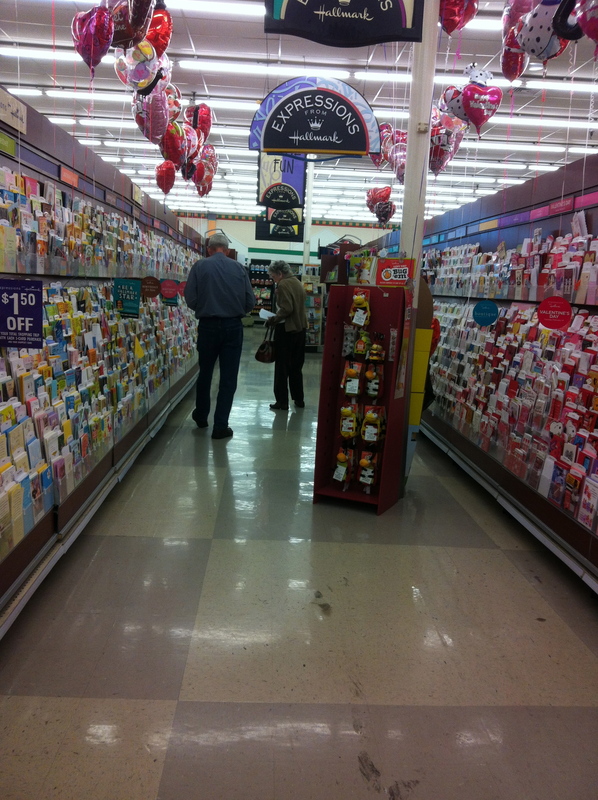 When I started down this aisle, I saw this couple- on opposite sides of the Valentine section picking out cards. Trying to find the perfect card for each person to say how much they loved them. I wondered if they were picking out cards to give each other, their children, their grandchildren? I do know that they were being very thoughtful about the process- carefully looking at the selection and smiling at those that would make it into their basket, shaking their heads at all the others. I tried to be inconspicuous as I watched them so they wouldn’t know someone was butting in on their “Valentining”. By the time I made it down the aisle and turned around, this is what I saw. She looked back and smiled at him as he walked towards her with his cards. They were done and heading out. Happy with their choices. I don’t think we normally hear a lot of Valentine lessons, but this year I learned one and looking back at this couple helped. Valentine’s Day should be like every other day, or better yet- every other day should be like Valentine’s Day. Not the cards and flowers that will get tossed at some point, but the “I love you’s”, the hugs, the kisses, or just sitting and holding hands- the things that really make your heart flutter. This couple, while buying the cards, were giving each other one of the greatest gifts- time with each other.